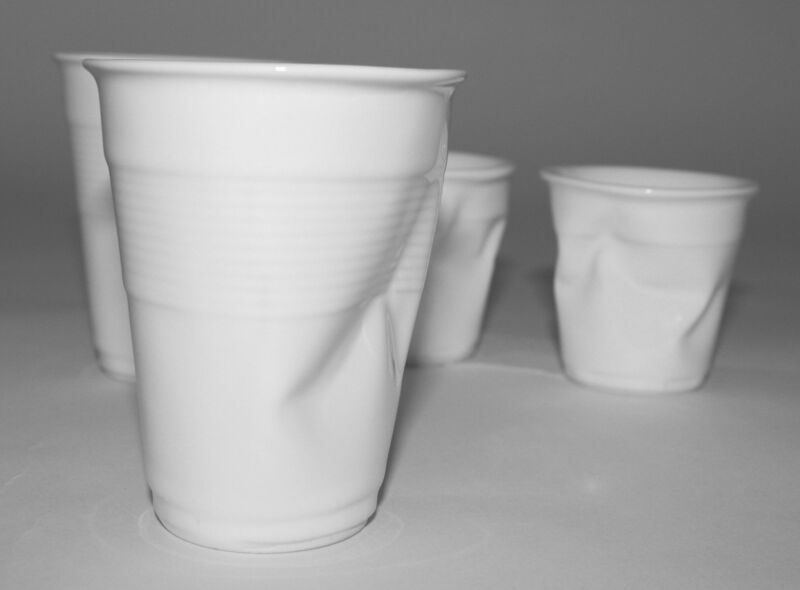 This creased cup by Rob Brandt has become a design classic. The designer's ideas, playing with the material and object, intrigue and amuse. Made from white ceramic, each one is hand made and signed by the designer making each cup unique. 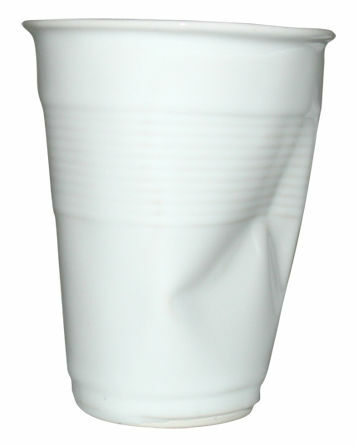 really fan of this classic plastic cup revisited in ceramic!